Are There Vitamins That Calm Kids? Autism is a complex disorder that affects cognitive and emotional development, and typically manifests before the third year of life, according to the University of Maryland Medical Center. Symptoms of this disorder include learning difficulties, repetitive body movements, sensitivity to light, difficulty maintaining a social conversation and inability to control impulses. In some cases, these symptoms may continue into adulthood. Certain supplements may help ease the symptoms of autism. Check with your doctor before taking supplements to address autism symptoms. This condition may require the ongoing care of a medical or psychological professional. 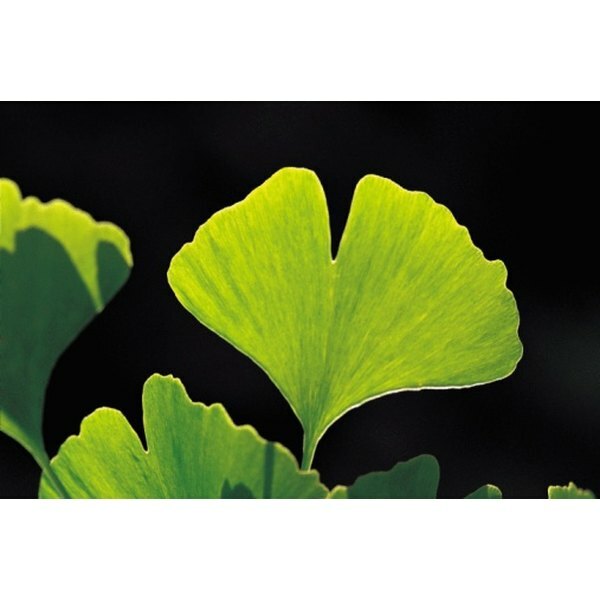 Ginkgo biloba, an herb native to China, may offer benefits to help ease the effects of autism. Supplements containing the leaves of this herb may help enhance circulation to your brain, which may improve learning and memory, according to Michael Castleman, author of "The New Healing Herbs." Ginkgo biloba is also an antioxidant, and may help prevent free radical damage to brain cells that can impair cognitive function. Check with your doctor before using ginkgo biloba to treat autism symptoms. The chemical compounds in this herb may interfere with blood platelet activation, which may impair your body's ability to clot blood. B-complex vitamins contain up to eight B vitamins that may improve autism symptoms. These include niacin, pantothenic acid and pyridoxine. Niacin may improve circulation to your brain, boosting memory, learning and synthesis of information. Pantothenic acid is an anti-stress vitamin, and may reduce anxiety and excitability commonly associated with autism. Pyridoxine deficiency is linked to the development of autism, according to Phyllis Balch, author of "Prescription for Nutritional Healing." Valerian is an herb native to temperate areas of Europe. Ancient Greek healers recommended this herb as a poison antidote and a remedy for water retention, according to Castleman. German physicians in the 12th century recognized the tranquilizing and sedative properties of valerian. Supplements containing this herb may help calm erratic behavior and improve concentration. It may also improve sleep, which may boost cognitive function. Talk to your physician if you plan to treat autism symptoms with valerian. Valepotriates, the active chemicals in valerian, may cause daytime drowsiness, headaches or nausea.